Training a horse is not an easy task, it takes a lot of effort and dedication on the part of the owner. The common mistake that most new owners make is that they abuse or beat the poor creature when it does not listen to their commands. But what they don’t realize is that the animals have a strong sense of fear and they have a tendency to fight or flight when they are afraid. Teaching a horse to side step should be the part of all horse training programs. Side stepping is taught at a later stage of the training. First you must make sure that your horse obeys all the basic commands. Build its trust in you; bring it food and water to strengthen the bonds of friendship between the master and the pet. Take the horse to a nearby public park and make it walk in a fixed patterns. Do not let it take the lead, always make it follow you. After refining its walk, you should not start working on other skills such as side stepping. You should make sure that the horse already knows leg aids before you start teaching him how to side step. If you have not yet taught him the basics, it will not understand what you are asking him to do and you will get frustrated with the slow pace of things. Hop on the horse and make him walk in a straight line. Apply pressure on its legs in the inward direction with the help of your legs. Horse should turn its legs in the sideways direction in order to release the pressure from its legs. It will result in a sideways plus forward motion at the same time. Move forward in the straight line but remove the leg pressure from it once it starts responding. 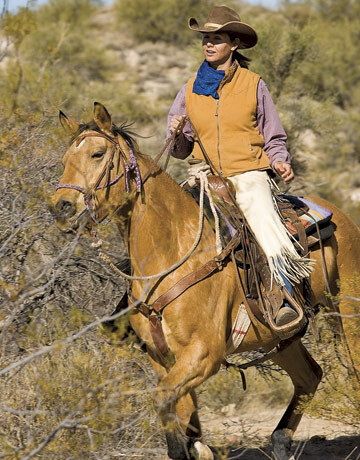 Make sure that the horse is moving in a straight direction, use reins to align the direction. Now apply pressure on the opposite direction with your legs, use spurs to make it side step if it is not responding too well. Train with your horse daily for the next few weeks. It will take him some time to get to grips with the new command, just be patient. Follow a similar routine for few weeks and your horse will start stepping even without the leg pressure.